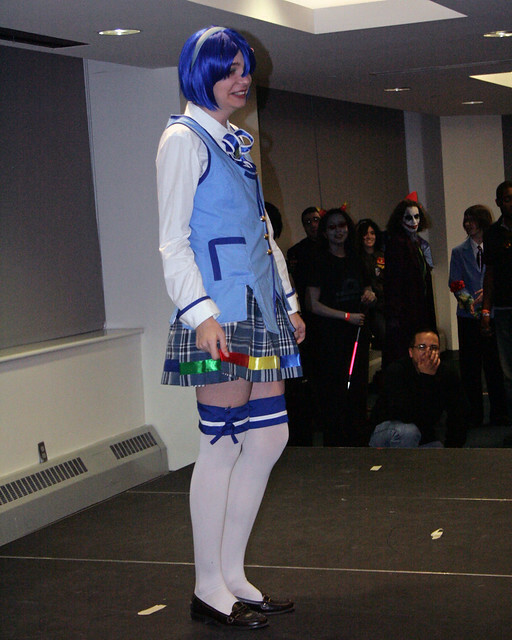 On Saturday March 12, 2011 NYU's Polytechnic Anime Society held its Annual Spring Fest. A stones throw away from Fulton shopping center in Brooklyn, NY, the Annual festival celebrated Anime, Cosplaying, music/karaoke, and of course gaming. It was a free event, but in order to attend you must have registered online, and bring a print out of your registration. Surprisingly for a free event there was a limit as to how many people were able to attend and the week before the event all tickets were sold out. 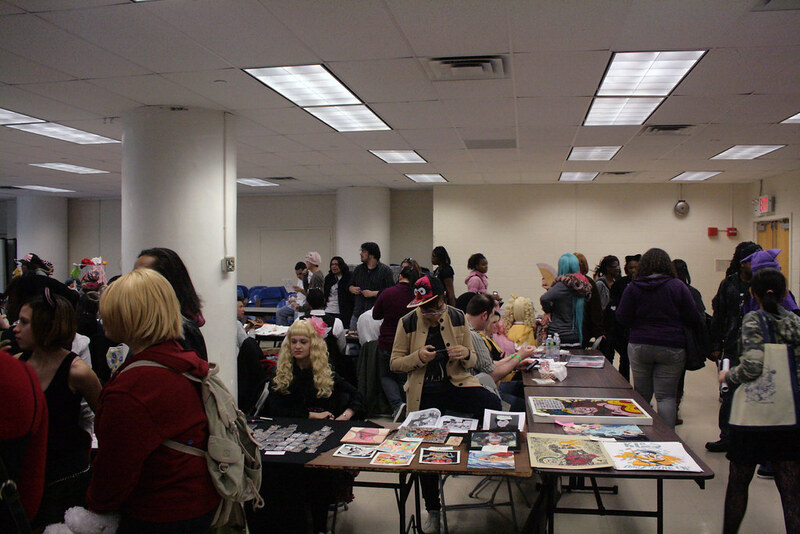 The Polytechnic Anime Society has been holding this event for the past 5yrs, this year they included a dealers area where artists and vendors could both sell merch. 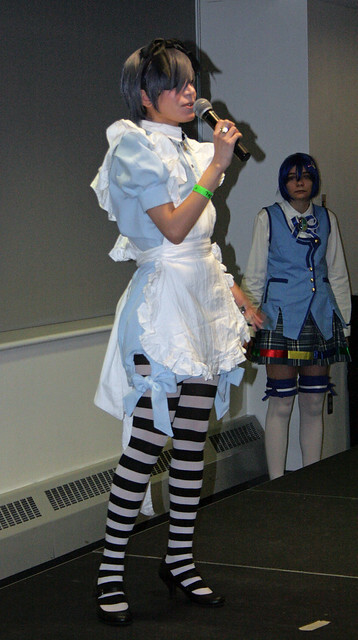 It was an event that was made for families and had the basics of much larger Anime events. Filled with contests like the Ramune Drinking Contest and Anime Jeopardy. Panels such as "Subs vs. Dubs", Wig styling, and Otaku 101. Film screenings of Macross Frontier movie 1, Maid Cafe serving delicious treats, and gaming rooms filled with new and old school systems, and a Starcraft 2 LAN party tournament with a $3 buy in.Karaoke was of course performed by the guest hosts. Special J-pop performances by artist such as: Bolivian Born, NJ area J-Pop singer/songwriter MASAHIRO; Dance Trio Moemiru! who were exclusively selected by New York City’s own “Akihabara” singer, Reni Mimura; Jeremiah Johnson a.k.a. Nullsleep whose style could best be described as post-cyberpunk: a combination of distorted synthpop, electro, and industrial produced with re-purposed low-bit electronics; NYC-based J-Pop and J-Rock cover artist Sneko; and Yuki & Cuties, formed by Yukiko Ishiwata (Yuki), the singer/songwriter of the band in 2009. 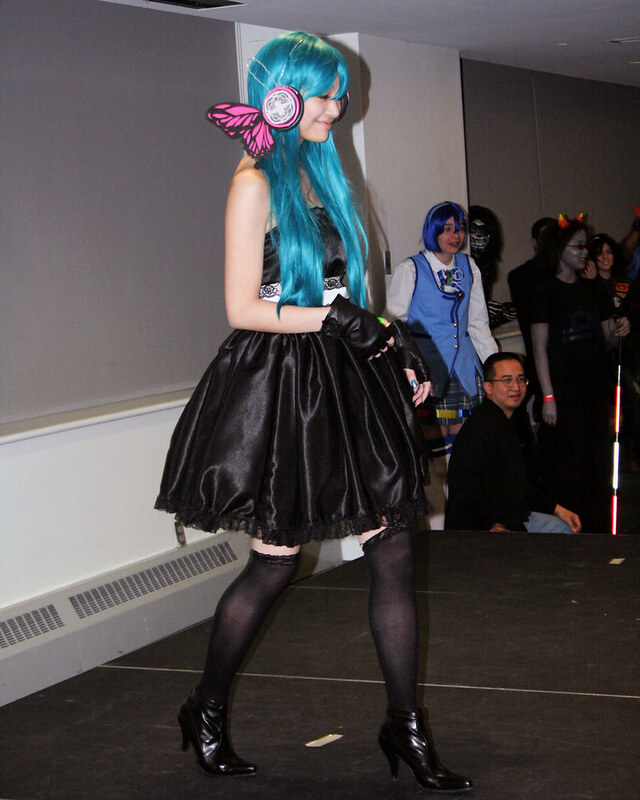 To end the night, well my night, I attended the Cosplay contest and Meetup hosted/judged by the lovely Kitsune Dolly. Categories for the contest were best group, best in show, and best craftsman. The turn out for Cosplay contest was huge. There were various cosplayers through out the day, but to see that them all in one place like that at that event was a "WOW" moment. Each cosplayer presented themselves on stage posing in a fashion that suited their character(s) to the crowd and then to the judges. Well that's how it was supposed to go, but some people were just a little too shy or just didn't get that you were supposed to linger a little bit longer. The crowd reaction to all the cosplayers was phenomenal. 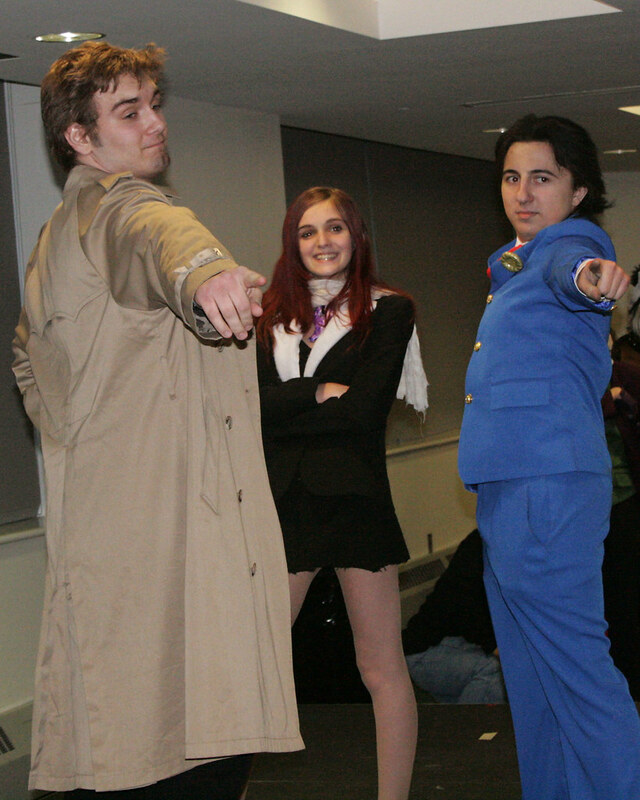 The winners were: best group: The Phoenix Wright group, for Best in show: School Uniform outfit, and for Best Craftsmanship: Mei Hoshi for her Miku Hatsune cosplay. The Spring Fest was definitely worth checking out especially with friends and family. On a Saturday afternoon, where I'm sure a lot of people were looking to make plans, and the weather was just great, the Spring Fest made the day a little bit more interesting.